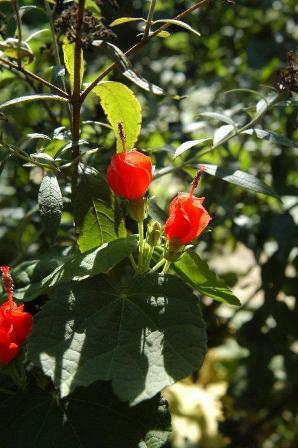 HABIT: Red, fez-like flowers in summer. Red fruit resembling rose hips in the late summer. Bushy, shrub-like growth with many stems from the ground. Considered it a perennial, but it looks more like a shrub. CULTURE: Can be grown easily from seed, which can be started indoors in the winter or outdoors after the last frost. No treatment is needed. USES: Flowers are excellent for attracting hummingbirds and butterflies. Flowers and fruit make a good herb tea. The fruit is full of pulp and seed; cooked down, it produces a good jelly or syrup. The flavor of the raw fruit resembles that of watermelon or apple. One of the best flowering plants for shady areas. Attracts pollinators like bumblebees and hummingbirds. PROBLEMS: Various leaf-chewing insects like caterpillars and grasshoppers but none serious if the plant is in healthy soil. 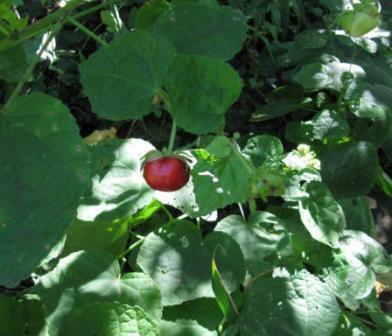 Turk’s Cap (Malvaviscus arboreus) Daily Tip home page June 2005. Native plants that provide long lasting color are important in my garden and I recommend you try some. 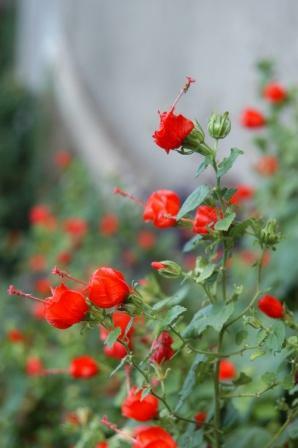 One of the best shrubs or woody perennials that is particularly effective in the gardens of north Texas is Turk’s Cap. 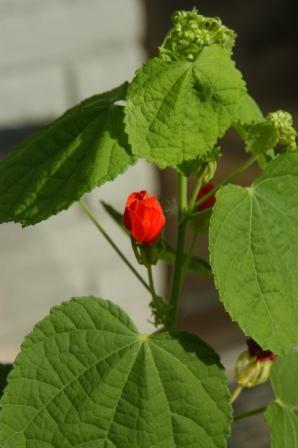 Turk’s Cap (Malvaviscus arboreus) is a very durable plant, requires little care, and is colorful all summer long with red fez-like flowers followed by red fruit. The fruit is red and pulpy and is very effective and tasty in herb teas.It can also be used to grow additional plants from seed. This is a striking plant that can be grown in sun and shade. It does lose its leaves and go bare in the winter but returns dependable every spring. You can cut it back to the ground or leave the bare stems showing. A white variety is available, is not as showy and not as durable.